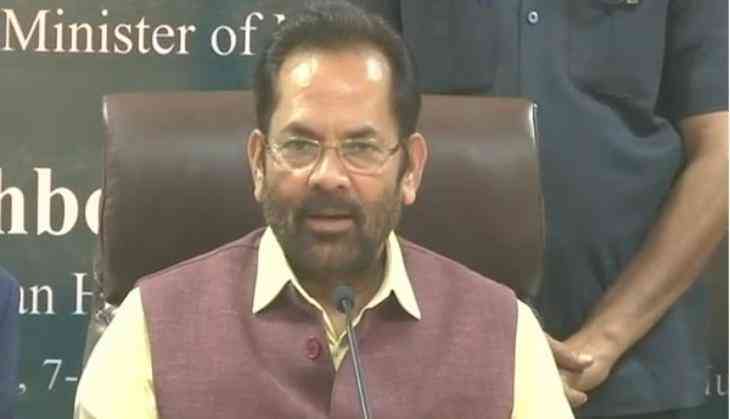 The country set a new record with the selection of 131 youths from minority communities in the Union Public Service Commission (UPSC) exams, Union Minority Affairs Minister Mukhtar Abbas Naqvi said on Monday, attributing the milestone to the Centre's policy of equitable development of all. "The Modi Government's policy of development with dignity without any discrimination has ensured that this year for the first time after the independence, record 131 minority communities youths including 51 Muslims have been selected in civil service," Naqvi said in an official statement. In percentage terms, 5.15 percent of the total 990 successful candidates are Muslims. This year, six Muslims secured ranks in top 100, which include three women. Last year, 126 youths belonging to minority communities including 52 Muslims had been selected in civil services. A total of 1099 people were selected in the civil services, with Muslims constituting 4.5 percent of the total selected, Naqvi informed. Under the 'Nai Udaan and 'Naya Savera' scheme, the Ministry of Minority Affairs has been conducting free coaching for meritorious youths belonging to notified minority communities preparing for UPSC examinations, among other sought-after courses such as medical and engineering. During 2017-18, 105 youths from the notified minority communities who qualified the prelims of civil services exams have been provided financial support under 'Nai Udaan' scheme. The Minister informed that an awareness campaign is also in place for the youths belonging to minority communities, to ensure they participate in these examinations through television channels, newspapers and different institutions and organisations. Naqvi further praised the BJP-led government for giving confidence to the youths belonging to minority communities by protecting and promoting their talent and added that such efforts were lacking in the previous government. After an overwhelming response and encouraging results of free coaching schemes during the last three years, Naqvi said that the Ministry of Minority Affairs has made these free coaching schemes more easy, convenient, accessible and encouraging for meritorious youths. 'Nai Udaan' and 'Naya Savera' schemes have been revised during last year and rate of financial assistance on qualifying UPSC prelims has been increased from Rs 50,000 to Rs 1 lakh.